Blade Runner 2049: Can the future be saved? 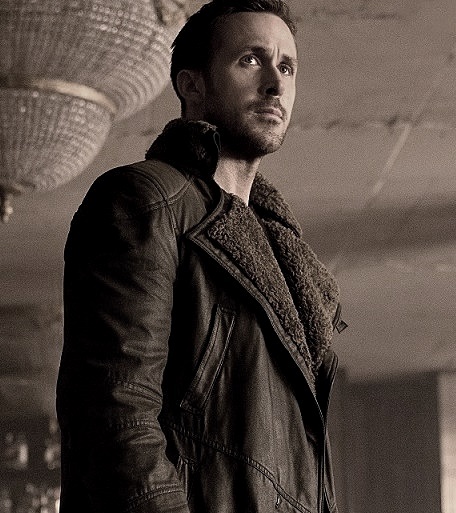 Both the Ridley Scott masterpiece, Blade Runner, and the Denis Villenueve masterpiece, Blade Runner 2049, can be deemed as mirrors, reflecting as to what’s coming and where we’re all headed. There are also some interesting questions we can ask ourselves after watching both films. Questions such as What does it mean to be human? What is real? Can one trust his or her memory? But if I have to ask, I would ask, is the future bleak? Or, what we can do is to put the question differently, so we can look at its gravity from a different angle, then ask, can the future be saved? All these questions demand discussions among philosophers, scientists, artists, general cinema audiences, politicians, teachers and students. However, an individual can also put his or her brain alone to the test and let the inner-self be challenged whether the future can be saved or not. After all, it is about the concerned individual’s thoughts. A concerned individual can be an alert, cognitive member of his or her society. The individual can be anything in a society. An innovator innovates. A scientist discovers and a teacher enlightens. But is that enough to protect the future generation and their environment? The question here continues to become different in form and tone, but the answer is yet to surface you might think. The answer lies in both films. The Villeneuve version, 2049, enhances the world of Blade Runner and like Scott's, it, too, asks the same questions with a sense of direct intellectualism. Therefore, we continue to focus on what is real and what does it mean to be human. But what is the world of Blade Runner? The world of Blade Runner is what the viewer is witnessing. As soon as the films begin, the viewer becomes the member of the society that is presented by Scott and Villeneuve. It takes a competent filmmaker to be able to put his or her audience in the world that he or she has created. Scott, a master of cinema, and Villeneuve, too, a master of his craft, have presented the world of Blade Runner with utter sharpness and professionalism. 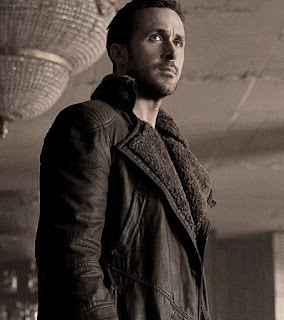 When we witness the world of Blade Runner as viewers or members of such world, we can almost feel the air, sense the smell of the rain and the snow or the rooms populated by the characters. We even sense the smell and almost taste the drink from Deckard and K’s glass or the sweet scent of Rachael’s lipstick from her lips. We’re so close to the subjects on the screen that it feels as if we can pet Deckard’s dog in 2049. But with such stunning visuals and cinematography, the world of Blade Runner is more than just its beauty. The world of Blade Runner is concerned with the world's health. "One of the greatest problems, according to Everything Connects, that we're facing today is environmental pollution, which is causing grave damage to the natural world and human society. The world of Blade Runner is on the brink of environmental collapse. Pollution plays a huge factor. Los Angeles in 2049 has turned into cold, soulless, desolate place. "Human overpopulation, the main cause of pollution and climate change, is leading us also to shortage of water. Most of the freshwater resources are unreachable or too polluted, leaving less than 1% of the world's freshwater accessible for direct human use. Furthermore, by 2030, nearly half of the world's people will be living in areas of acute water shortage." According to the Center for Biological Diversity, "the largest single threat to the ecology and biodiversity of the planet in the decades to come will be global climate disruption due to the buildup of human-generated greenhouse gases in the atmosphere. People are beginning to address the problem by reducing their carbon footprint through less consumption and better technology. But unsustainable human population growth can overwhelm those efforts. These studies brings us back to the question if the future can be saved. The subtext of the both films poses the question regarding what it means to be human. But the world of both film dares to ask the viewer if their decisions today can change and "how" their decisions will change the quality of life for the children of the future. Absolute strangers we're, however, we share the same world to look at its beauty and ugliness. Its perfection and flaws. Its problems and what's hurting it. It's safe to claim that the world we live in, its beauty and safety, is in our hands as much as paving a way for the future generation to a safer and cleaner planet. Perhaps, years from today, some are going to be able to find a way to get in the front line and escape to an off-world colony. An easy way out. Is Mars the next home? Or, we're going to take it easy on our planet, so its environment remains habitable for future. In order to achieve that we'll have to make some drastic changes by putting an end to nuclear and chemical wars; terrorism; human overpopulation and global warming, which would be, if one cares, the most human thing we can do.